This guy’s a dude. 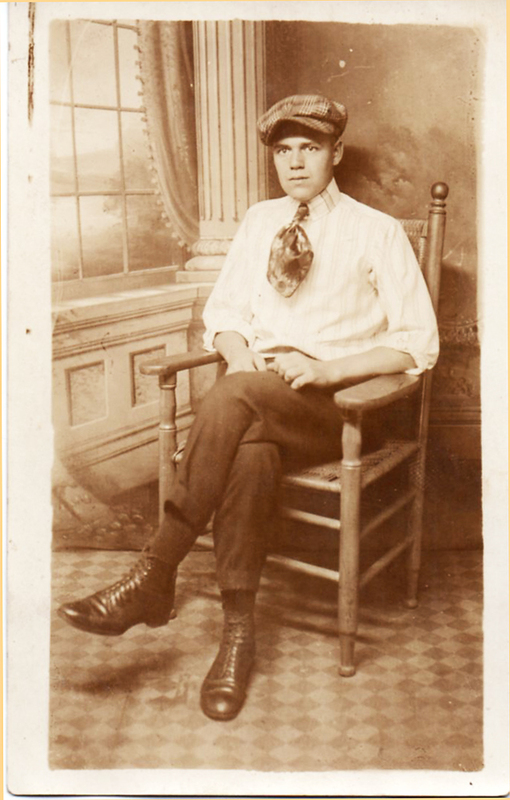 Note the scarf tie, popular in the 1920s. Driving cap in plaid, striped shirt. Sleeves rolled up. Good shoes. Odd expression, but photography was still new then. I haven’t a clue as to where this studio photo was taken. However, it’s a Real Photo and the AZO square (on the back, upper right) with two triangles pointing up and two triangles pointing down indicates that the photographic paper was made between 1918 and 1930. Posted in Existing photo processed by Bob Lawrence and tagged AZO, Real Photo Post Card, scarf tie. Bookmark the permalink. 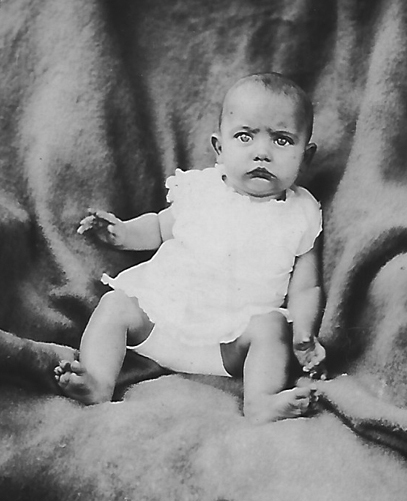 According to the back of this old real photo postcard, this is Joyce Alma Carrier, aged 4 months. I’ve trimmed the picture, so you can’t see that she’s been plunked down in a chair covered with a blanket and forced to pose for a candid. This young lady is definitely, certainly, absolutely not happy. I found this at a flea market. Got it for $1. Made me laugh. 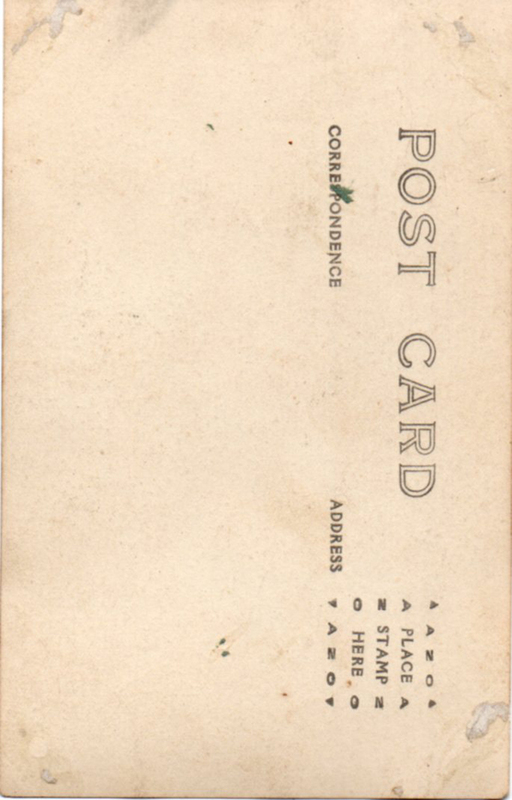 The postcard is an AZO, with a square at each corner (this is on the back, the place you place the stamp), which puts it in use between 1926 and 1940. Posted in Uncle Bob's Pix and tagged 4 months old, AZO, baby pissed, bob lawrence, Joyce Alma Carrier, Real photo postcard. Bookmark the permalink.